"Our experience shows that patients feel their pain and swelling were significantly reduced by the Hilotherapy and helped in their healing. The patients feel the masks were comfortable to wear and there were zero complications directly related to the device. The majority would recommend the treatment to a friend and many wished they could continue the treatment at home." "Hilotherapy is a closed system superficial tissue cooling device that is superb for controlling soft tissue swelling after facial cosmetic surgery. Less swelling means less pain and less risk of secondary post inflammatory complications. I have been using this device for over 2 years now and nurse-led objective studies on my patients clearly show improved patient satisfaction rates. A happy post-op patient will lead to new referrals and a successful practice." "I have used Hilotherapy for every patient undergoing a facelift or a brow lift for the last five years. I believe it to be a very useful adjunct to post-operative recovery and patients like the device. There is clear evidence of reduction of pain requirements and reduction of swelling and bruising." "Hilotherapy is beneficial for filler treatments, particularly facial volumising, fractional laser treatments, laser lifting, mid to deep chemical peels and all facial surgery such as blepharoplasty and mini-facelift. The technique minimises swelling, bruising and pain after the procedure, which is just as important for patient experience as managing their comfort during that procedure." "I am currently carrying out 100 gynaecomastias a year and I am sure the Hilotherm has reduced the haematoma rate (mine is 3.3% and the published rate is 10%). There are other factors – the anaesthetic and the use of Evicel (thrombin and fibrinogen spray) but I think the Hilotherm may be the most important. I am also carrying out 50-60 breast augmentations a year. A third of the patients have had previous surgery and say things are much better with the Hilotherm. I also used Hilotherm with a tummy tuck patient recently with a round cuff applied loosely under her abdominal binder and she said it really helped, even asking for the cuff to be reapplied when it was taken away. All in all I remain Hilotherm's best fan." "I have been using hilotherapy for all my patients undergoing facial cosmetic surgery including facelifts, rhinoplasty and blepharoplasty for the past three years. I have certainly found a reduced level of bruising and swelling following facial procedures which improves and reduces the recovery period. It is important to apply the hilotherapy masks immediately following the procedure since a delay allows a certain degree of swelling and bruising to set in and reduces the efficiency of the effect of the hilotherapy. Having noticed the enormous benefit to my facial surgery patients it has now become a routine part of the recovery of my patients. I have also started using hilotherapy for patients undergoing fractional carbon dioxide laser skin resurfacing with similar results and have noticed that patients report less discomfort post procedure. I would therefore recommend hilotherapy to any surgeons who have a facial cosmetic surgery practice." "As a specialist in Plastic and Aesthetic Surgery I use Hilotherapy for recovery of facial and breast surgery patients. With facial surgery after 24 hours of using Hilotherapy the swelling and pain is subsided (similar to the state after seven days). 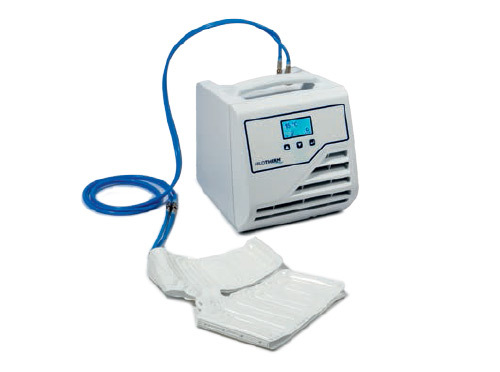 There is very minimal is any pain, wound dealing remains unaffected, in contrast to conventional or even ice-cooling. In breast surgery, the initial swelling is almost completely alleviated. The operated women need significantly less pain medication and be much fitter again much faster. 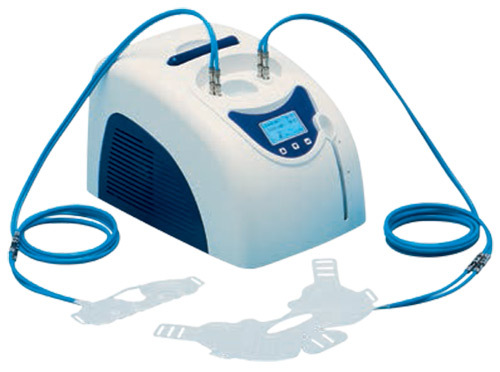 I cannot imagine a professional aesthetic procedure without subsequent cooling using Hilotherapy now." "We use several Hilotherapy devices since launch several years ago. Without exception, all patients are cooled postoperatively. Both swelling and pain sensations are reduced significantly. The devices are an indispensible part of everyday life in our clinic." "Our clinic is highly specialised in plastic surgery of the facial area. We have been using Hilotherapy for over a year now. With the large variety of cuffs offered, we are able to cool in spite of very different procedures. Hilotherapy not only leads to a reduction in swelling but it promotes a faster healing process and this positive effect is also reflected in the significantly lower need for analgesics. The patients love the Homecare device which they take home after leaving the hospital. Hilotherapy has proven successful for us in every way and therefore become a permanent part of our post-operative regimen." "We have been working for several months with the Hilotherapy system and are excited about the visible reduction in bruising and swelling in the lower facial region, particularly in the area of the eyelid and nose surgery. Patients are thus much earlier socially acceptable!" "In our clinic Hilotherapy has been successfully used for about 3 years of postoperative follow-up of aesthetic surgery of the face, chest and in genital surgery. The patients are extremely satisfied with the treatment and find it soothing." "Immediate postoperative cooling is an integral part of our therapy concept and critically important for gentle pain relief and to minimise swelling. With Hilotherapy this concept can be hygienically, an uncomplicated, noise-free and enjoyable implement already in the recovery room. Particularly pleasing is the moderate cooling, which also excludes damage due to excessive cold." "Hilotherapy has been proven to use not only excellent medical tool but also as a marketing tool. Many patients have now realised that post-operative swelling and bruising Hilotherapy reduced or even prevented. Hilotherm has been used in all the plastic surgery of the face and chest for two years and has become indispensible. Previous experience with the device in traumatology has led to impressive clinical evidence for its effectiveness. Elimination of pain, swelling of lymph flow and improved prophylaxis significantly improve the postoperative comfort of our patients." "We use Hilotherapy daily for hair transplants. We regularly work with the front hairline area, the receding hairline and the front top of the head are permanently reconstructed with new hair roots. Despite microsurgical techniques, it causes swelling that can descend over the forehead to the eye region. Although this does not hurt and it does not influence subsequent hair growth, it affects the appearance of our patients for 3-5 days. For 2 years we routinely cool head and neck immediately after hair transplant with the Hilotherapy system. We see much less intense swelling and the patient feels good under the application immediately."